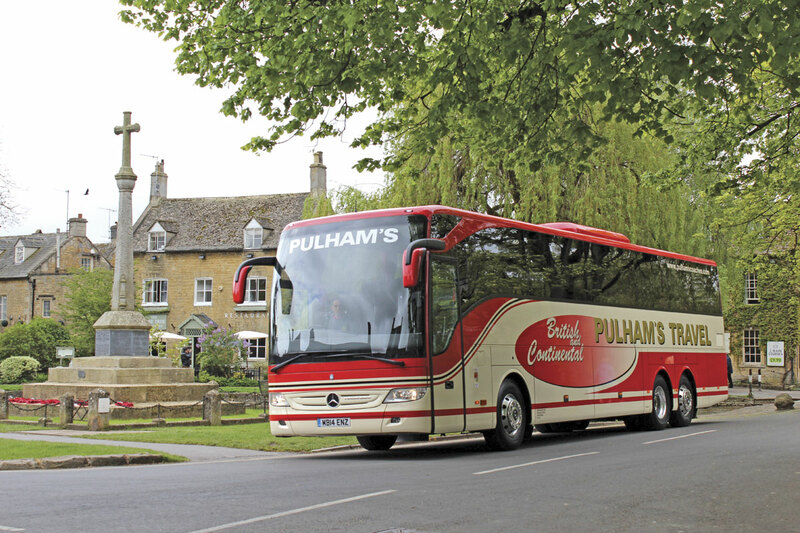 Andrew Pulham, MD of Pulham’s Coaches of Bourton on the Water in Gloucestershire, has traditionally had a virtually 100% Volvo fleet and anticipates continuing to buy Volvo in future, but on 8 April last year he took delivery of a two-axle Tourismo. 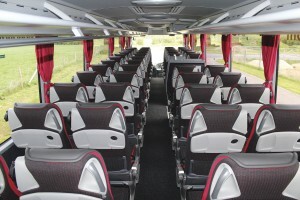 He has never operated a Setra, ‘because they always seemed expensive compared with a Volvo and somewhat over specified for what I wanted then,’ but last month the first of a pair of Tourismo Ms was delivered, which is the first production example of the model to enter service. 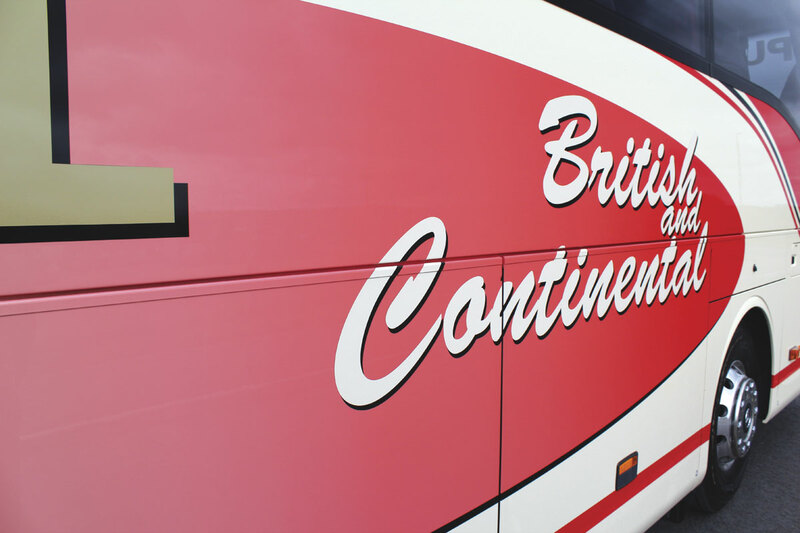 Stuart Jones went to the Cotswolds to meet up with Andrew, hear why he chose the Tourismo M, take a closer look at the coach and see how it performs on the road. ‘There’s also the weight advantage. With a 12.8m on two axles and all the luggage too, it is close to the limit. That’s not a problem on three axles,’ he said. Delivery of the new pair was originally scheduled for March but unfortunately there was an issue with the special fuel tanks that had to be manufactured for the right hand drive layout. Supplied by a contractor, the tanks did not pass the quality standards set and new ones had to be sourced. 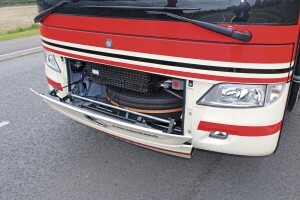 When the coaches were complete, one suffered damage while passing through Austria on its way from Turkey. 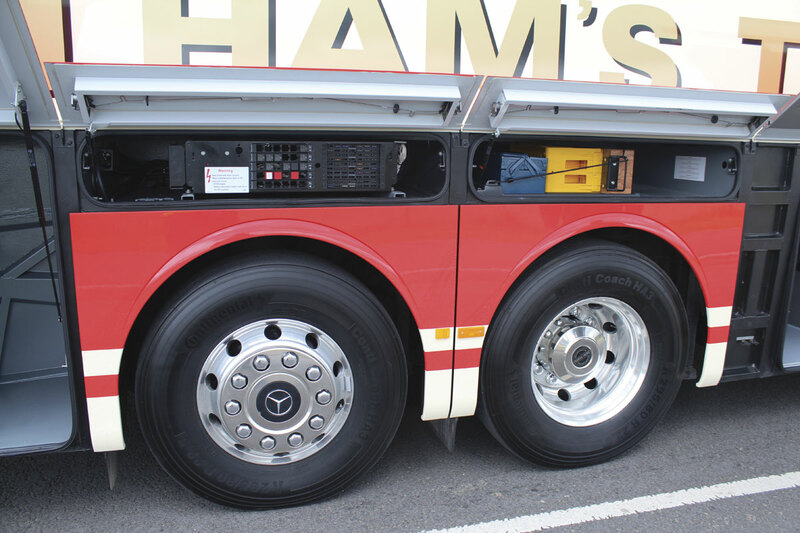 It was subsequently sent to Full Circle Enterprises in Banham to be repaired to Mercedes-Benz standards and should be with Pulhams by the time this article appears. 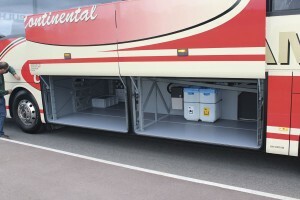 The specification was chosen after a visit to Busworld Kortrijk last year where he saw the interior in the new short Tourismo K, which unfortunately is not available in right hand drive and is unlikely to become so as it is based on the lower height version of the Tourismo. At the entrance, I have long felt the Tourismo offers one of the better arrangements with four relatively shallow steps to the platform and thereafter a further two steps to a sunken aisle that slopes slightly towards the front. 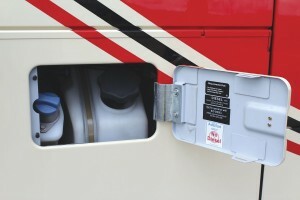 Within the first step from the platform is a driver’s locker. 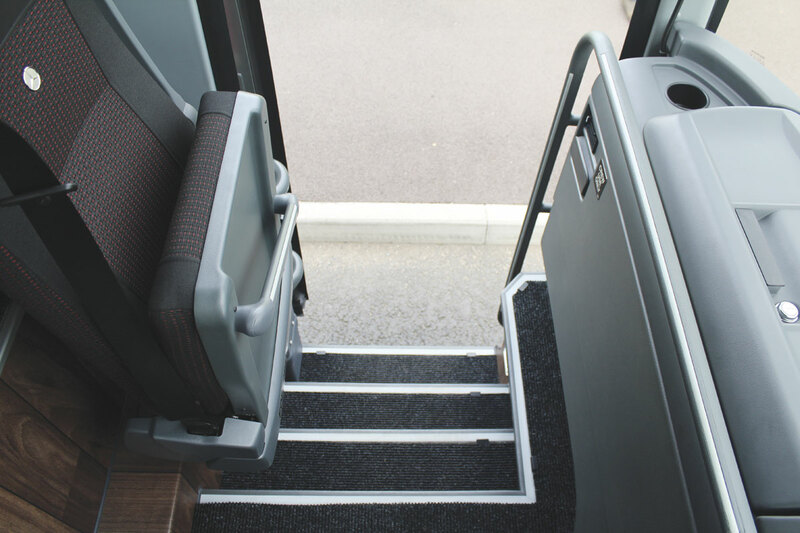 Handrail provision is good with a continuous rail running around the dash edge to the left of the stairwell and in addition to vertical rails, a diagonal handrail integrated within the base of the stowed courier seat. 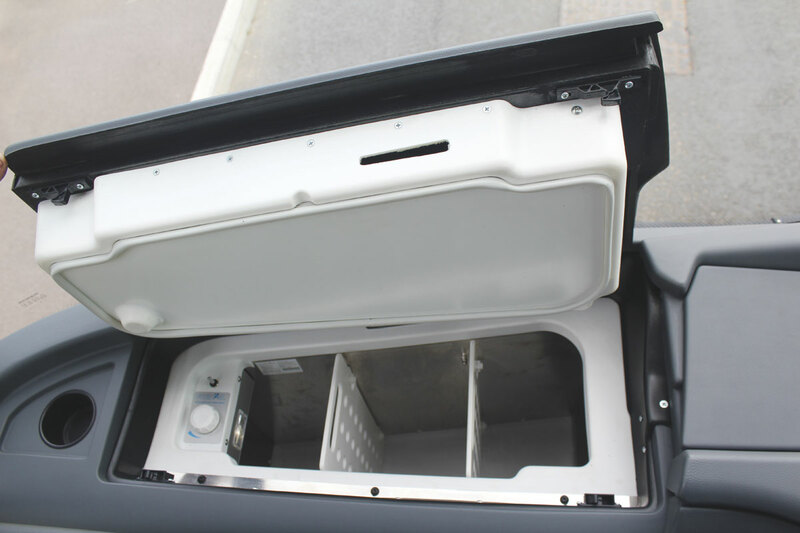 Within the dash is a 51-litre fridge with top access. 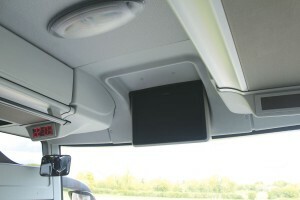 Above the entrance area a powered 19-inch Bosch drop down monitor tucks away and there are two other displays; a clock on the nearside and a seatbelt warning/toilet occupancy display on the offside. 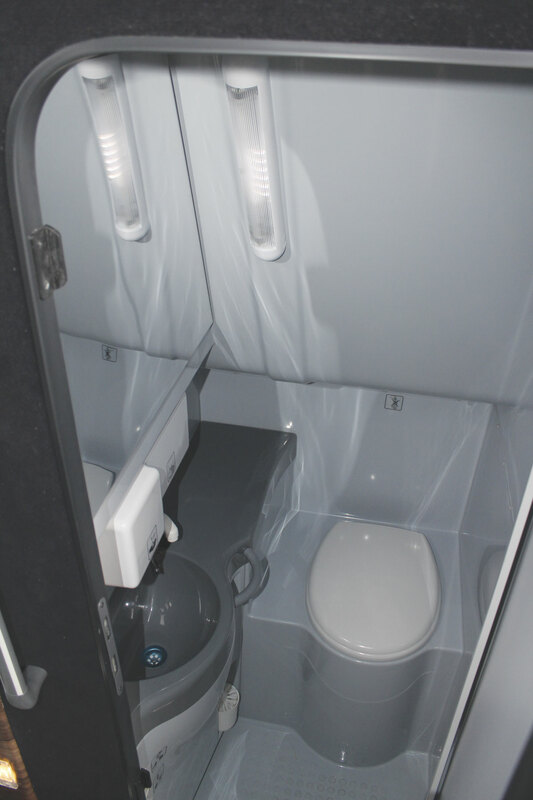 A second similar monitor is mounted above the aisle alongside the toilet, the interior of which is moulded in shades of grey, and there is a drinks facility integrated externally within the top of the unit. It is a relatively easy facility to get in and out of and offers a useful amount of headroom. At the centre door, five steps take you from the ground to the aisle and again handrail provision is good, though another to the left of the stairwell would be a help. Set off by a small three pointed star, the top of the range Luxline TSX2 reclining seat looks extremely stylish and is comfortable with it. 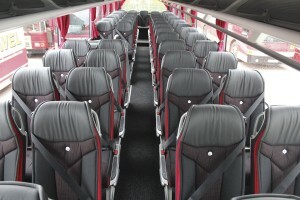 It has a leather effect headrest and is otherwise trimmed in grey cloth with side rouching and red insets. 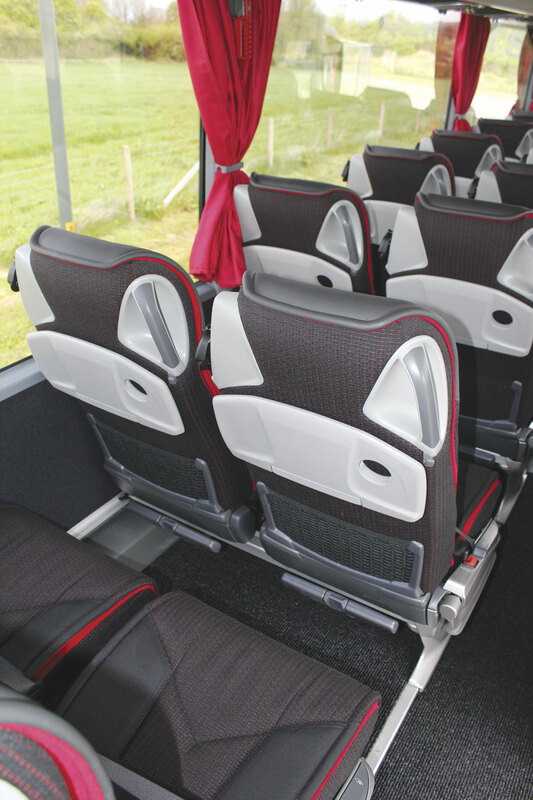 Among the features are magazine nets, adjustable footrests, coat hooks, aisle side armrests, numbers, side-slide lateral adjustment, integrated handles, and fold down tables with integrated cup holders. 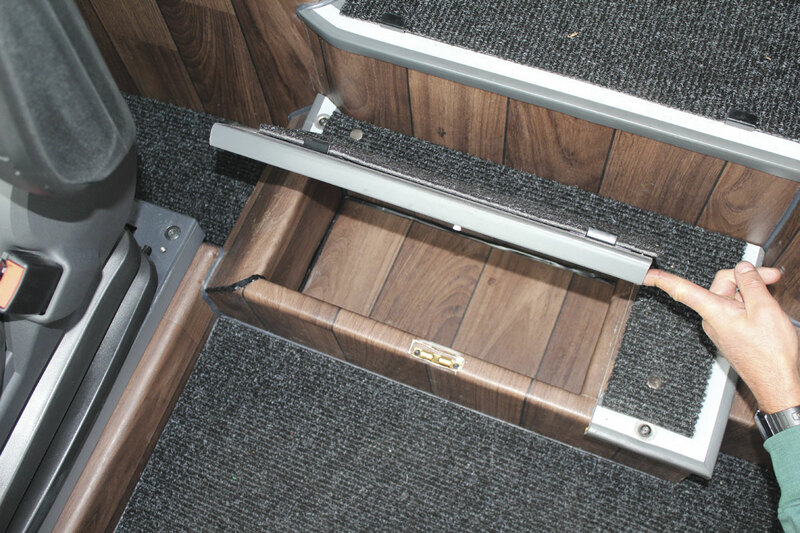 The armrests hinge laterally over the aisle to fold out of use while the recline mechanism is on a rocker bar. Three point belts have been specified throughout. 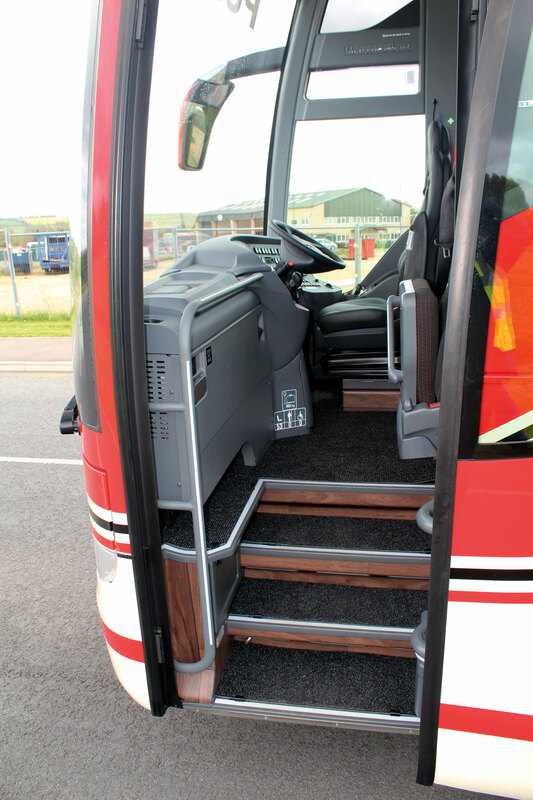 A hand rail runs the full length of the nearside luggage rack and those on both sides are open. 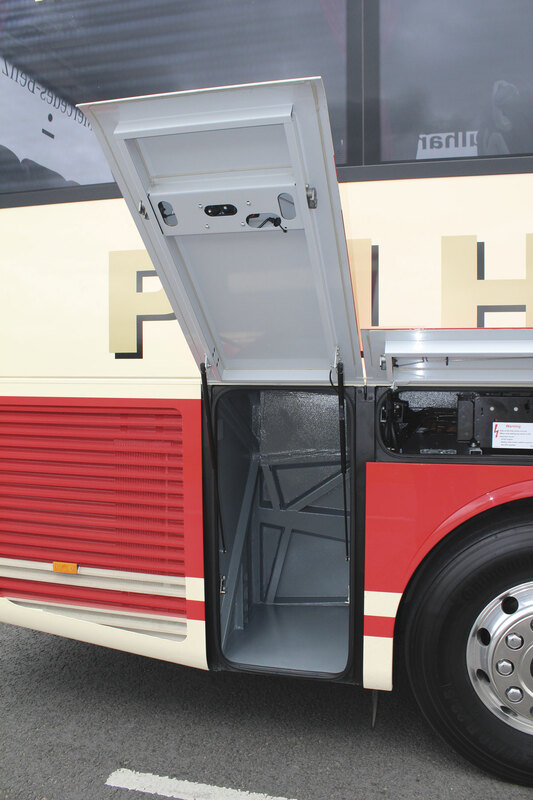 Integrated within the undersides are functional passenger service units mounted at an angle. Decoration of the ceiling centre is uncomplicated though the oval light units, air conditioning grille and hatches do break it up visually. 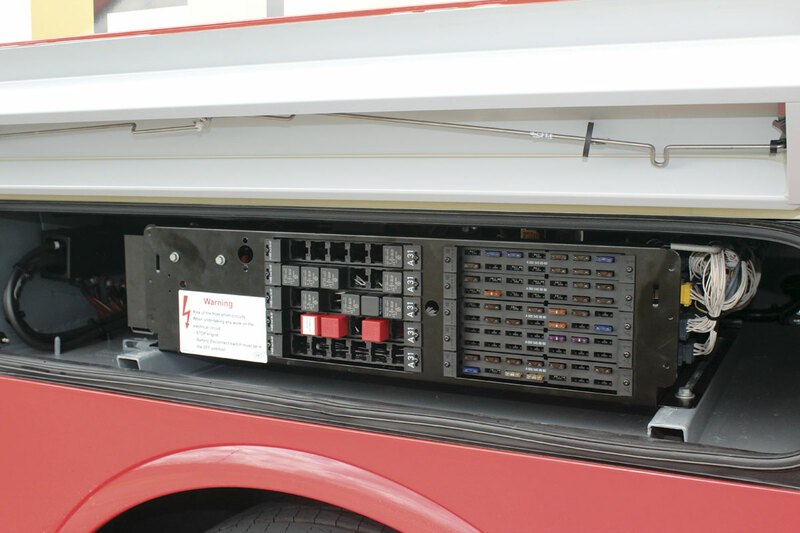 The air conditioning unit is mounted centrally on the roof and has a 32kW capacity with 8kW devoted to the driver’s area. 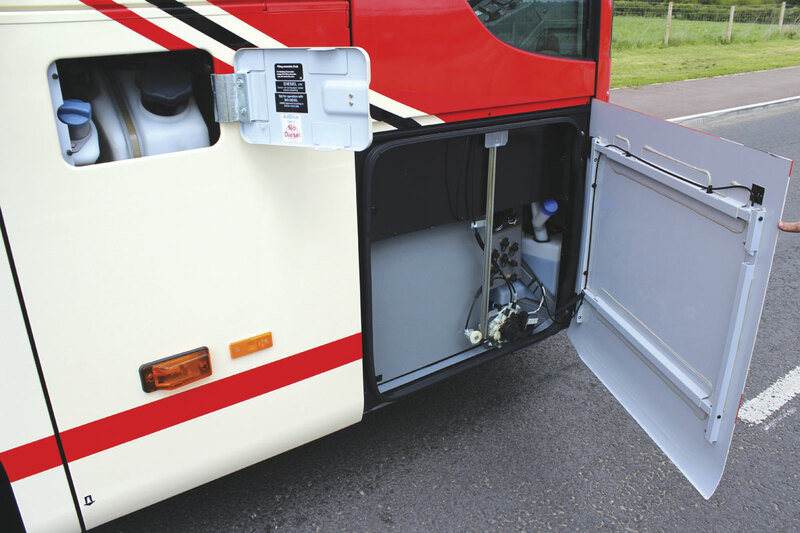 The climate control system is automatic and in addition there is a convection system mounted on the sidewalls as well as a Webasto pre-heater with timer. Curtains are finished in red. 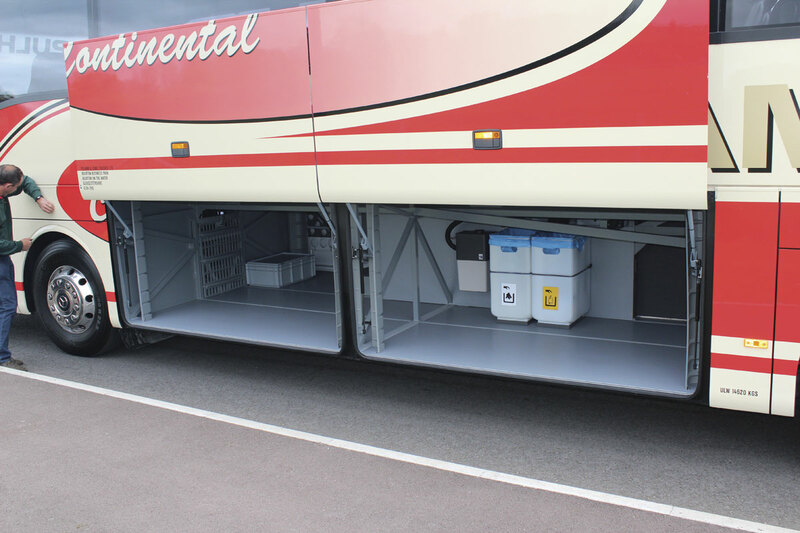 Luggage capacity in the hold is the same as on the two axle Tourismo at 8.4 cubic metres with the sunken toilet or 9.6 cubic metres without it. Within the hold there is a spare universal mirror arm in case of damage to one of the gull wing units and the optional vacuum cleaner is located there. Andrew has specified a number of features that are not part of the standard specification. 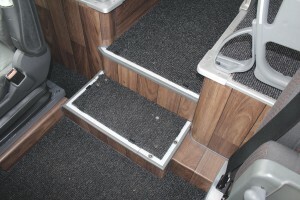 One he is sure anyone who has ever had a Tourismo before will definitely go for is the use of wood effect laminate flooring around the entrance, including the vertical faces and as the aisle sides in the main saloon. The standard specification is a carpet style trim in these areas that can rapidly become dirty looking with the normal cleaning processes. He has also specified the wood effect on the floor throughout the rest of the saloon, despite opting for underseat and aisle carpeting. Among other non standard items are: Accorsi air horns; a UK specification vacuum cleaner; a factory fitted drinks machine; a single rack locker relocated where it is needed above the toilet on the offside; emergency hammers secured on cords; parallel lift luggage lockers; Durabright alloy wheels; electrically operated roof hatches; Bosch 19-inch front and centre powered folding monitors; a reversing camera with dashboard mounted screen; fuel consumption display; and both USB charging and Bluetooth hands free equipment. The optional Bosch powered monitors fit well with systems from the same manufacturer’s professional 3 line which are included as standard, among them a CD and DVD player. A multi function antenna for radio and telephone is also standard. There are still some minor changes to the specification that Andrew would like to see. He’s not fond of the gathered curtains because he thinks they are messy. ‘I want proper pleated curtains in each window, pleated into the edge rather than gathered and tied,’ he said. ‘They did shorten these for us while we were there. They normally hang eight inches below the lower edge of the window and people end up with them in their laps because they don’t know what to do with them, but ours are now level with the base of the window.’ He added, ‘I found the Hosdere factory very reactive to what you want. I said I didn’t like them and they changed them there and then, taking them down, shortening them and re-hanging them’. Mechanically, the specification of the Tourismo M is very similar to the two axle 12.2m long Euro6 model. 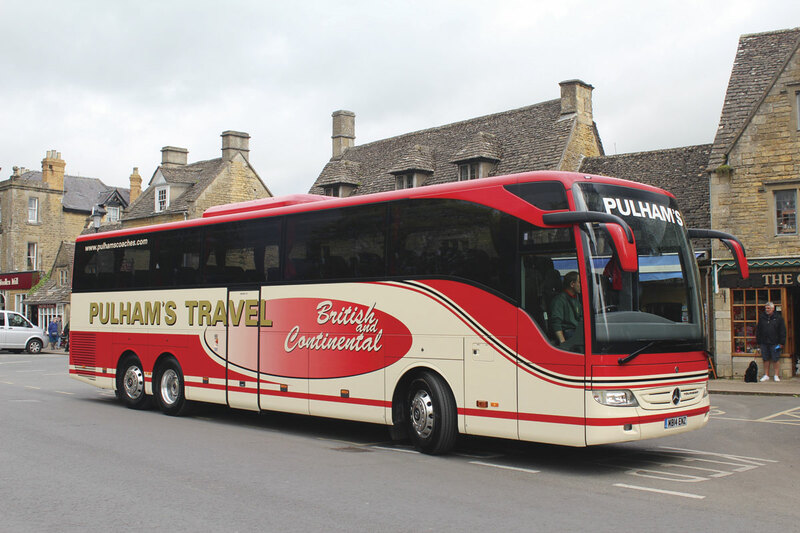 There are three versions offered in the UK, the largest of which is fitted in the Pulhams’ coaches. This delivers peak power of 422bhp/315kW and peak torque of 2,100Nm at 1,100rpm with 95% of the torque available as low down as 800rpm. Features include: demand-oriented exhaust recirculation, a downstream oxidation catalytic converter, a particle filter and SCR technology with AdBlue injection to ensure emissions regulations are met. 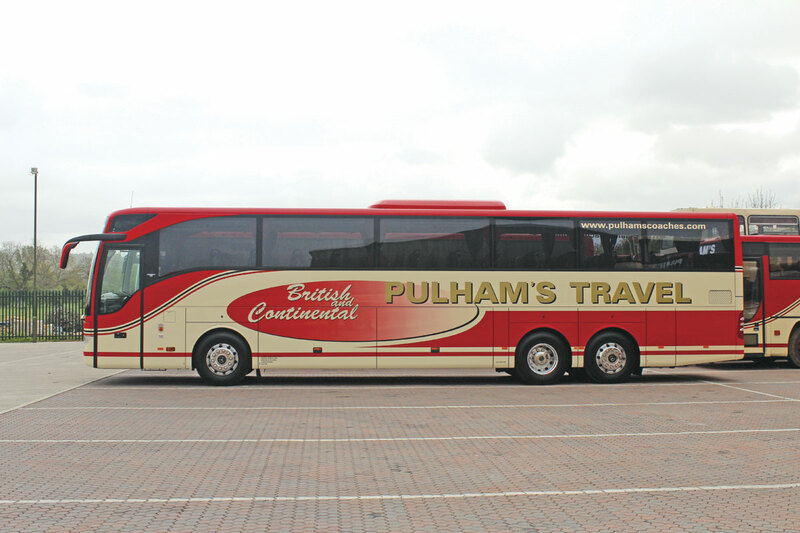 There are three gearbox alternatives available with the Tourismo M and Pulhams have gone for the PowerShift GO250-8, which they also specified in their first two-axle model. ‘You can use the power more with the PowerShift. Working round here with all the hills that’s important to us. However, we’ve been using a two-axle demonstrator with the ZF EcoLife six-speed automatic and there’s nothing wrong with it; it’s very decisive. If you come to a roundabout with the PowerShift and kick down there is a delay before you go. With the ZF the reaction is much more immediate. I’m told the fuel efficiency will be greater with the PowerShift than the auto but time will tell,’ said Andrew. 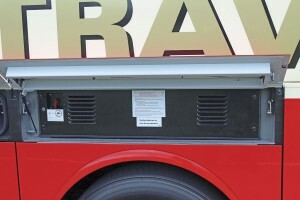 The third gearbox option is the GO-210 manual. With the ZF independent front suspension system at the front and an actively steered independently suspended trailing axle from the same manufacturer, the minimum turning circle is 20,730mm and the minimum track circle is 16,670mm. 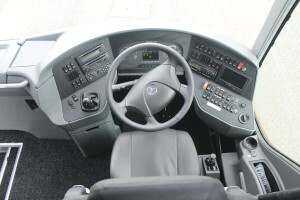 The steering system is the well known ZF 8098 Servocom and the rear axle is the Mercedes-Benz RO440 unit. The maximum front axle turning angle is 58-degrees (inside), 46-degrees (outside) which is the same as all other Tourismo derivatives. There is a lift/lower facility. 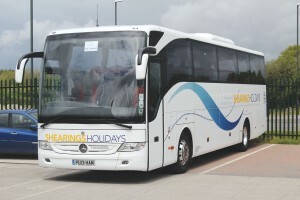 Mercedes-Benz is at the forefront when it comes to vehicle safety so the Tourismo comes complete with all of the electronic features you expect including the ESP electronic stability programme, Brake Assist, EBS electronic braking with disc brakes, ABS, ASR, a continuous braking limiter and a brake wear indicator. 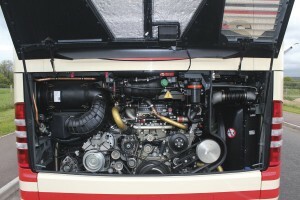 It also has a fire detection system in the engine bay. The coaches have both been bought with two year bumper to bumper warranty packages included. 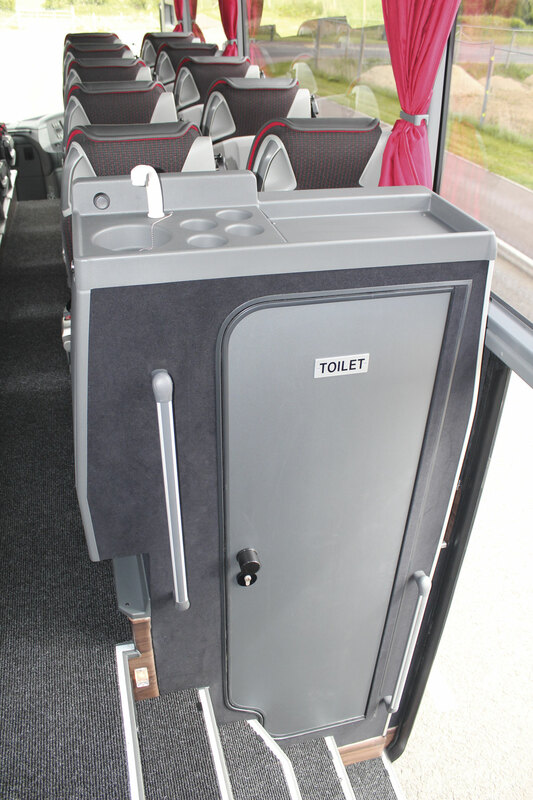 Andrew explained, ‘On the two axle Tourismo, if I want a toilet, which I do, you are limited. 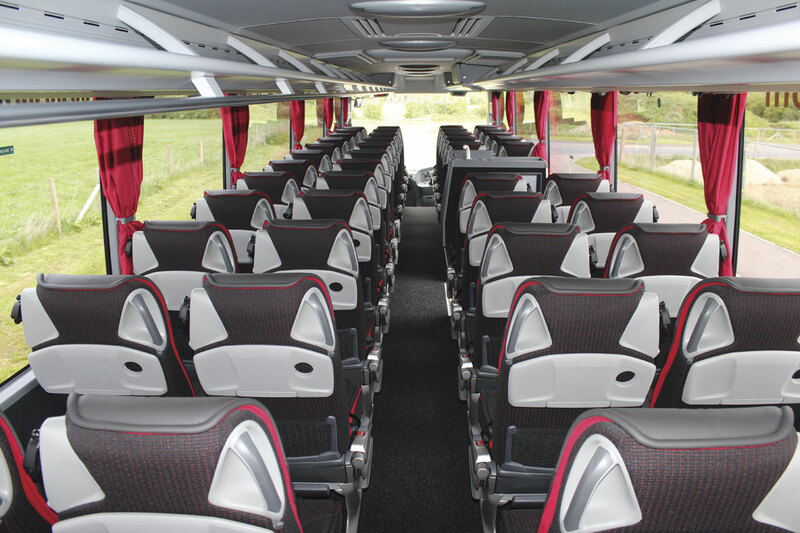 You can have 49 Luxline seats or 51 standard seats and a toilet and that’s it. You can never put any more seats in. 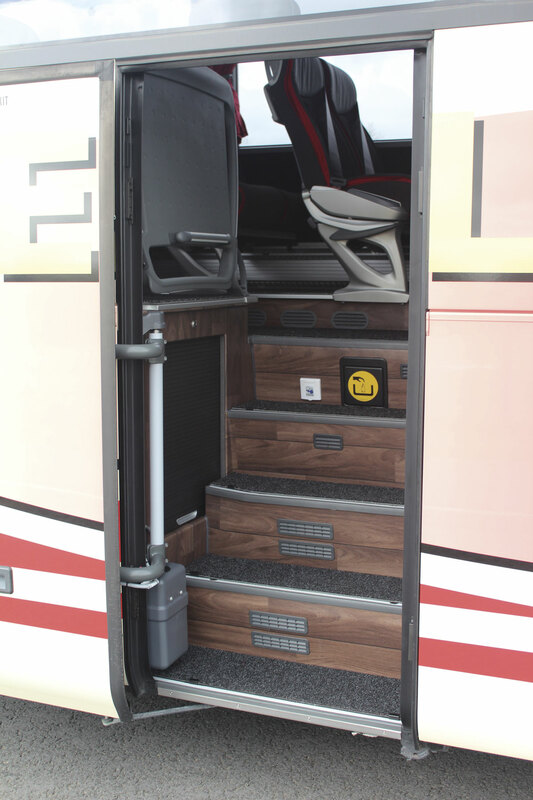 In the tri-axle, you can have 53 and a toilet, if you want 55 you can’t have the Luxline seats. On a Volvo you can have 53 and a toilet and you can remove the toilet and up-seat’. Both of the new tri-axles are effectively additions to the fleet because the only vehicles sold recently have been a 2006 41-seat Dennis Javelin Plaxton Profile and a 1990 Volvo Citybus, ‘so they’re not a bad couple of replacements,’ said Andrew. Despite these compromises, he is very happy about the latest purchases he has made and would certainly consider buying more in the future. ‘It comes down to what you pay on day one; they are good value for money,’ he said. The retail list price for the tri-axle Tourismo M is £272,000, which is a figure higher than I anticipated but expect to knock a chunk off that for a deal without part exchanges. 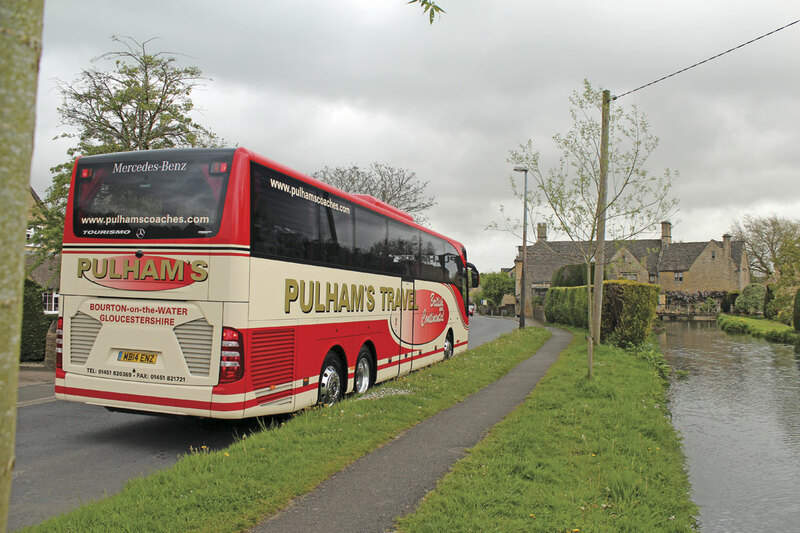 In order to get a good idea of what the Tourismo M is like, Chris Adams took me out in the first example on the hilly Gloucestershire roads. The weather was windy and wet and Chris liked the way the windscreen wipers went to each side of the screen to maintain a clear view of the mirrors. Despite the wind it was very quiet going along, with no whistle from the well placed mirrors. Mirror vision was good, with Chris commenting, ‘you can see pretty much from the top to the bottom of the coach, from front to back. It’s only the front wheels you can’t quite see. I don’t know whether the pillar is thin or the offside mirror is mounted further out but you have a very good clear view of it.’ There is a buzzer on the indicators, something most drivers prefer. 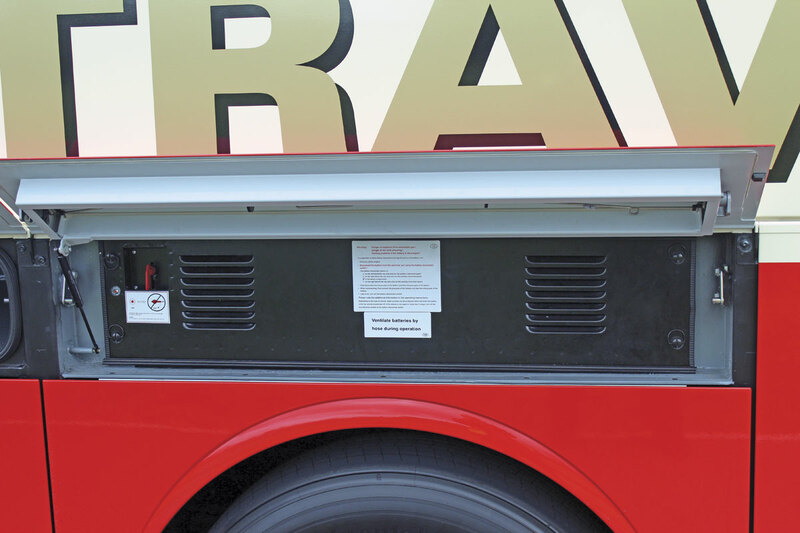 The green band on the rev counter covers the 900-1,500rpm band while the red band is shown as from 2,200-2,500rpm. It’s a long drag up the A429 to Northleach but it didn’t daunt the Tourismo M which accelerated comfortably up it. 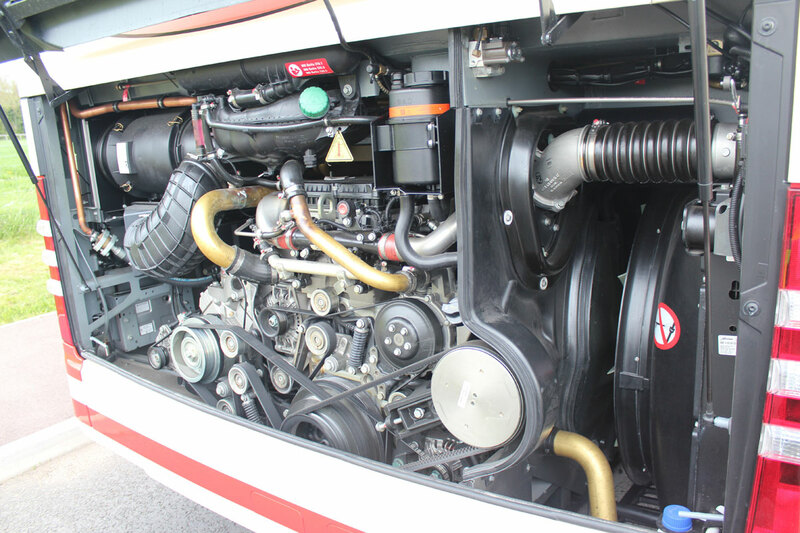 Later, approaching another long steep ascent at 40mph on the speed limiter, it dropped from seventh to sixth and then to fifth, each of the changes occurring at around 1,250rpm. ‘Our Volvo’s don’t go up here any better,’ said Chris. On more or less level terrain, at 20mph the coach was in fourth, changing to fifth at 30mph at 1,100-1,200rpm. At 40mph it was in sixth at 1,200rpm, moving up to seventh at 52mph at 1,600rpm and to eighth at 1,400rpm at 55mph. Once eighth (top) was reached it was doing around 1,000rpm at 55mph and if you went down to 50mph it didn’t shuttle between gears. Decelerating, it didn’t change back down to seventh until around 45mph. I repeat all the old provisos about gear change points, these should only be taken as indicative as I can’t say all were on exactly flat roads and we weren’t carrying any passengers or other ballast. From the front you could hear neither the engine nor the transmission, but there was a hiss from somewhere above the passenger door that Chris believed emanated from the door brake. 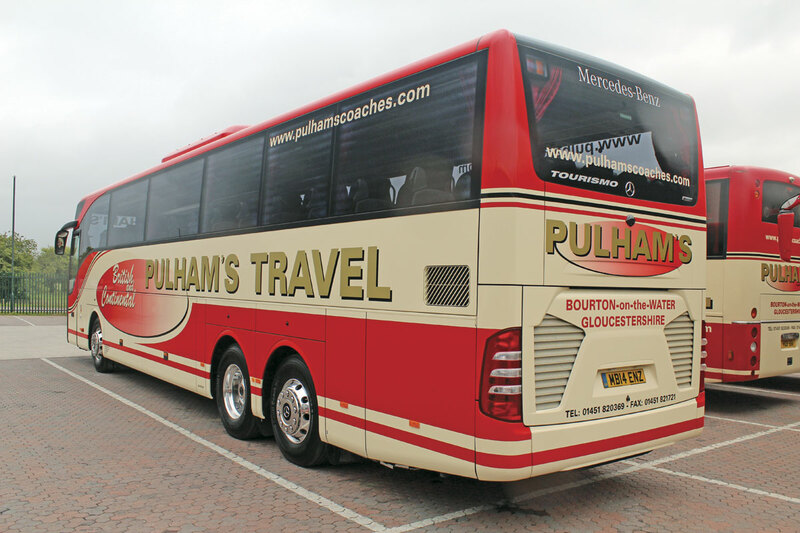 Whether the Tourismo M is a Setra replacement or not is an irrelevance to Pulhams, as they never ran them, but my guess is that for passengers the combination of the three pointed star and Luxline seats will leave them asking what else a Setra offers. This poses questions about the long term future of the Setra brand elsewhere in Europe but that’s not a question to address here. In the UK you can have any of the trim specification features you could specify in the Setra so you can match it to your existing Setra fleet if you wish to. It is built in Hosdere in Turkey rather than Neu Ulm in Germany but if you’ve ever seen the plant near Istanbul it has to be one of the best coachbuilding plants in the world.